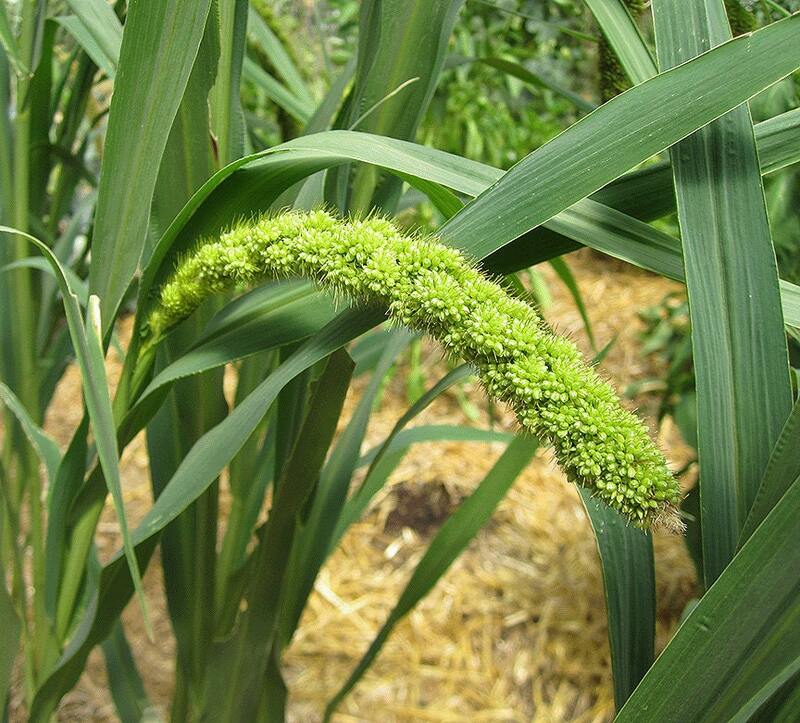 It’s a striking ornamental grass as well as a nutritious grain for people, chickens or any birds. 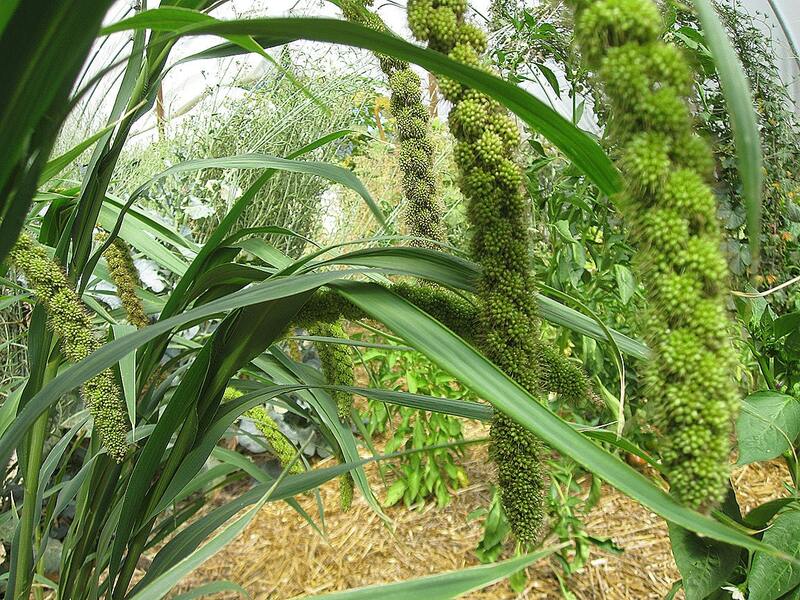 Grow Limelight millet in a flowerbed with burgundy amaranth for a zinging combination. Flower stalks emerge brilliant lime green and ripen to gold in time for finches and sparrows to load up before fall migration. We feed the seed heads to our chickens; they’re a popular treat for caged birds too. And in the garden they add the element of movement, swaying gracefully in the slightest breeze. Culture: Direct sow late spring in full sun—in blocks 2-4 inches apart the plants will hold each other up. 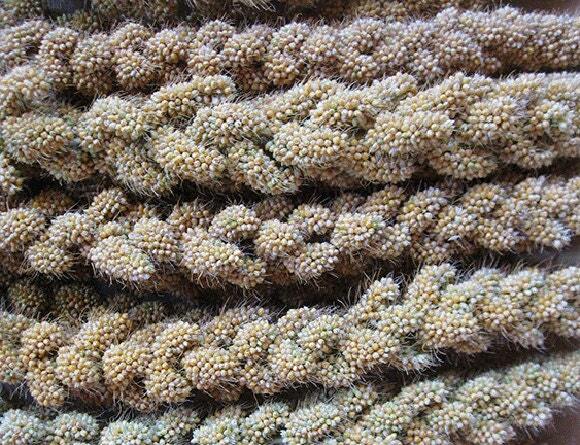 Millet likes good soil and regular water.